Volvo has shaken up its car range with the introduction of Drive-E petrol and diesel engines. The four-cylinder powertrains will be fitted to every front-wheel-drive model from June, reducing emissions and improving fuel economy. The engines will be offered up to 2.0-litres and use a combination of turbocharging, supercharging and electrification to produce varying power outputs. Available to order now, the cleaner four-cylinder units can be ordered on the V40, S60, V60 estate, V70 and XC60. As a result, the manual diesel V40 and V40 R-Design models will emit less than 100g/km of CO2, with claimed economy rising to 75.5mpg. The V40 petrol gets a new 152PS 1.5-litre engine mated to a six-speed automatic, which will return up to 51.4mpg and emit 129g/km. Front-wheel drive variants of the XC60 get a power hike, with 190PS now available, along with 117g/km of CO2 and up to 62.8mpg. All-wheel-drive D4 and D5 variants retain five-cylinder engines but get power increases and a 20g/km reduction in CO2 for automatic models. 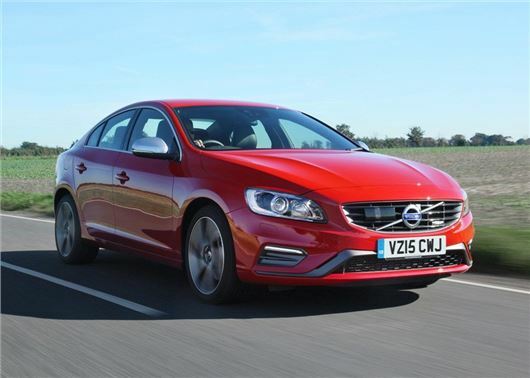 The S60 now qualifies for zero road tax, with its 120PS 2.0-litre engine emitting 99g/km of CO2 and returning up to 74.3mpg. The 2.0 unit can also be specified with 150PS, although this raises emission to 102g/km and 72.4mpg. The V60 gets two new diesel engines, with 120PS or 150PS and a respective 101g/km or 105g/km of CO2. Volvo promises up to 74.3mpg from the new 2.0-litre diesel, while the hybrid V60 gets a new name - D6 twin engine - to bring it in-line with the naming of the hybrid XC90. The V70 gets a new 2.0-litre engine with 150PS and 108g/km of CO2, when specified with Business Edition models. Claimed economy is a pocket pleasing 68.9mpg.